The 49th annual WSOP has announced its 2018 schedule with a comprehensive slate of the game’s most popular poker variations running from May 29 through to July 17. The WSOP, the richest and longest-running poker series on the planet, will feature 78 gold bracelet tournaments next year when the event reconvenes at the Rio All-Suite Hotel & Casino in Las Vegas. The WSOP Main Event, the $10,000 No-Limit Hold’em Championship gets underway on Monday, July 2 and runs daily until a winner is crowned on Saturday, July 14. With three starting flights, the final day for players to enter will be on America’s Independence Day, Wednesday, July 4. In 2017, American Scott Blumstein took it down for $8,150,000 after beating a field of 7,221 players – the biggest field since 2010 and the third largest of all time. The 2018 WSOP schedule will feature a dozen different tournaments beginning after the start of the Main Event including the Little One for One Drop and the Big One for One Drop plus several new and exciting additions such as a $1,500 Bounty Pot-Limit Omaha event, a $5,000 two-day NL tourney and a two-day, $50,000 High Roller event. “The Closer” is a new $1,500 NL tournament with 15,000 starting chips and 30-minute levels. In all, nine new events have been added to the 2018 WSOP schedule which has been designed to accommodate players of all kinds, with $365 buy-in events right up to the $1,000,000 Big One for One Drop charity poker tournament. 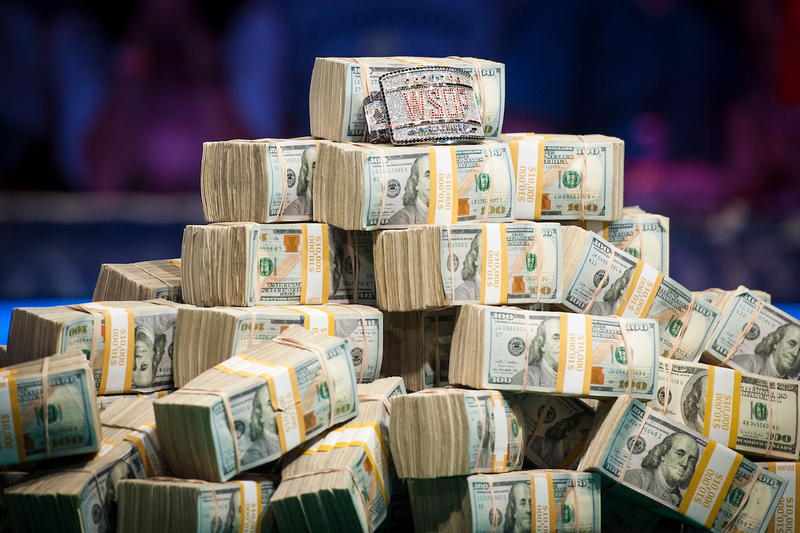 The WSOP remains a global gaming phenomenon with participants from over 100 nations taking part each year and more than 100,000 entries creating simply giant prize pools. In 2017, 120,995 entries competed for $231,010,874 in prize money, both marking 48-year highs for the annual extravaganza.